Here is the most up to date list of Equal Opportunity Schools, as recommended by TADIT members. As we have always stated, this list is neither a certification that these schools are 100% perfect, or a black mark against any school not listed, it is merely a resource for those who are struggling to find work due to discrimination. The list is still growing, please keep sending your suggestions of other schools. This is an article written by Lianne Lin, an ABC who experienced facing reverse racism while trying to find an English teaching job in Taiwan. You can read it here in English and you can read the translated Chinese version here. This is why we need groups like TADIT. Please feel free to share your thoughts in the comments box below. 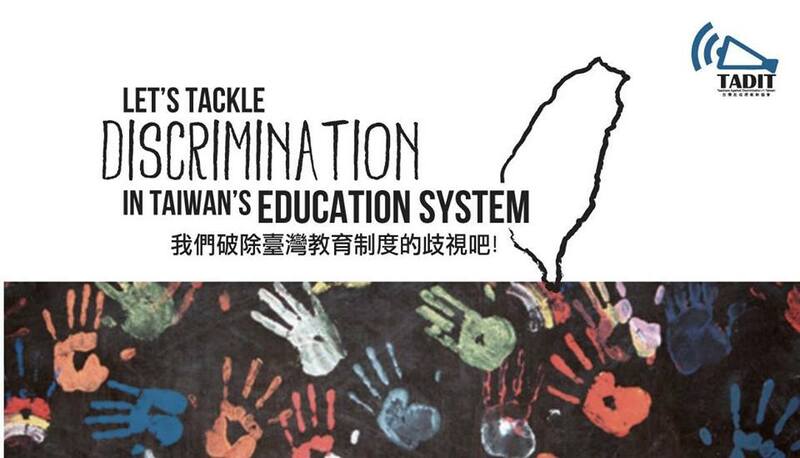 Why not take a few hours out of your Sunday (17th November) to help us pass out flyers that address the issue of ESL hiring discrimination in Taiwan? It really makes an impact when people see teachers of all different backgrounds come together to share this message. Location: NE Corner of Daan Park. (Cross streets are Jianguo & Xinyi). Time: We will gather between 3-3:15 before heading into the park and talking to parents. Wear: A white or dark blue shirt and we’ll stick you with a TADIT sticker. Bring: Yourself and local or foreign friends. If anyone is free afterwards please join us for a coffee/tea/whatever! All our members are very on the ball when it comes to highlighting issues of discrimination in today’s society. This week’s opinion comes from one of our extremely dedicated members- Reynaldo Budhi. Thanks for sharing! Here is a very interesting article published in the Cornell Chronicle regarding how Asian-Americans often feel racial ‘microaggressions’. 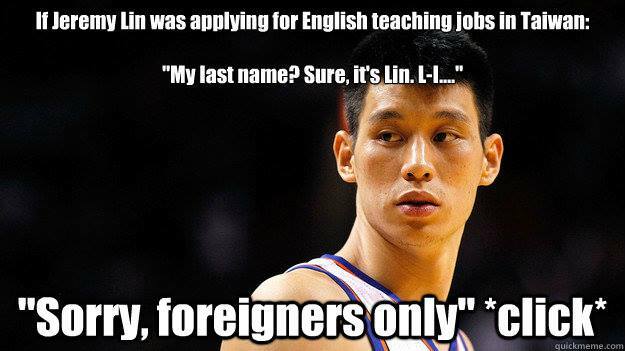 We often hear and talk about microaggressions experienced by “foreign” looking teachers in Taiwan. We’d love it if teachers of Asian descent could share their experiences of microaggressions here in the comments below. Thank you to Andrew Burning for sharing this. An absolute must watch. This is so right on. 3) Do not tell anyone in any oppressed group to “be patient.” Patience is not a political strategy. 4) Recognize institutional, structural, and covert ‘isms and oppression. Never invalidate when others say they have experienced discrimination. 6) Actively support alternative possibilities.